We provide links on our web site to other sites we think you will enjoy. These sites operate independently of Healing Touch for Animals® and have established their own security and privacy policies. For the best online experience, we strongly encourage you to review these policies at any site you visit. American Kennel Club is a not-for-profit organization established in 1884,maintains a purebred dog registry, sanctions dog events, and promotes responsible dog ownership. Canine Companions for Independence is a non-profit organization that enhances the lives of people with disabilities by providing highly-trained assistance dogs and ongoing support to ensure quality partnerships. Triumph the Dog – Her Legs May be Missing, But Her Spirit Isn't! Triumph, a Siberian Husky, was found by the roadside in Adana, Turkey. Both her back legs were cut off and she was bleeding when she was rescued and brought to the United States. Triumph is now the recipient of permanent prosthetic hind legs. Her website tells the story, in Triumph’s voice. 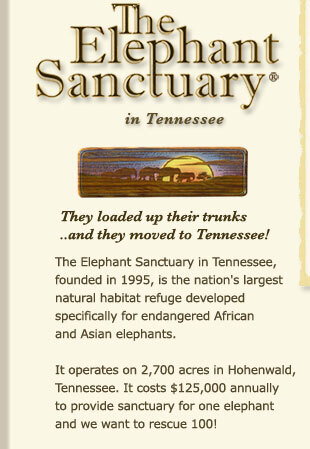 Elephant Sanctuary is the only natural-habitat refuge for endangered Asian elephants in the United States is the inspired rescue mission of former circus trainer Carol Buckley. It exists to provide a haven for old, sick or needy elephants in a natural setting and to provide education about the crisis facing these social, sensitive, passionately intense, playful, complex, exceedingly intelligent and endangered creatures. Energy Magazine is a free, on-line publication, sharing information about energy medicine and Healing Touch. Energy Magazine offers the reader articles and monthly columns about research, disease, music and healing, using Healing Touch in a variety of settings, personal experiences, developing a practice and much more. Experiential Anatomy & Physiology for Healers. Levels 1 & 2. Developed by Sue Hovland (BSN, HTCP/I, CMT) to help people understand the mechanics of the body to enhance their practice. This is a unique hands-on approach integrating anatomy with the energy system of the body and is appropriate for people who are new to anatomy as well as nurses and others who have studied conventional anatomy before. These classes use a multi-media approach that builds on a firm foundation in Healing Touch or other energy therapy. The organs and body systems are explored energetically, and new energy treatments are learned and practiced in each level. It is a multi-level advanced practice study for experienced energy healers. Healing Touch Program™ (HTP) is an educational program dedicated to offering classes in the energetic therapy modality of Healing Touch (HT) as well as providing support for Healing Touch students, practitioners and instructors. Healing Touch Research Healing Touch (HT) is one of many energy-based modalities that is being increasingly studied. This website is to provide documented research on Healing Touch and related modalities. Heart Healing Center is the website of Janna Moll, a Certified Specialist in Energy Medicine and a Certified Healing Touch Practitioner and Instructor, a Certified Massage Therapist and a life and business coach. She teaches and presents workshops internationally in Energy Medicine. Janna is active in the American Holistic Medical Association (AHMA) and has presented annually at the American Board of Holistic Medicine (ABHM) review course. The Institute of Spiritual Healing and Aromatherapy The Institute of Spiritual Healing and Aromatherapy offers a premier program in essential oil education. Created by Linda Smith, the school is nationally accredited to offer a 240 hour course of study leading to certification as a clinical aromatherapist. Energy healing is integrated into the curriculum making this a powerful way to learn about essential oils. Barbra Schulte Her mission is to provide superior training resources, presentations, and educational opportunities for every rider, from amateur to professional. She assists riders in achieving excellence by blending technical and mental techniques. To further enhance performance and joy in riding, a select assortment of high-quality tack, saddles, herbs, and other products for both the horse and rider is offered. Equine Affaire produces the nation’s leading educational horse expositions with annual events in the Northeast, the Midwest, and the West. Natural Horse Magazine is a unique magazine focusing on natural and humane care for horses and other animals, featuring nutrition, herbs, homeopathy, acupuncture, massage, aromatherapy, chiropractic and much more. 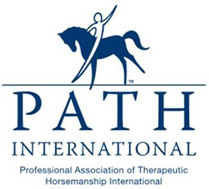 North American Riding for the Handicapped Association (NARHA) is a national non-profit organization that promotes the benefit of the horse for individuals with physical, emotional and learning disabilities. The Holistic Horse Care Cooperative (HHCC) is also known as the Holistic Herd. The Holistic Herd is an organization committed to connecting, empowering and educating animal lovers who are interested in embracing a holistic lifestyle for their animals as well as themselves. We offer monthly educational Meet & Greets, sponsor the Holistic Horse Affair and host a website dedicated to education and creating community for both practitioners and the lay animal lover. No one understands an individual animals needs as well as the guardian human in charge of those needs. We encourage these humans to trust their instincts and find solutions based upon this intuition while looking at the "whole" of each individual and seeking the support of professionals when needed. The Horse Source provides an extensive list of horse sites on the internet, including a collection of links to complementary therapies. Holisticat is dedicated to cat lovers who wish to treat their cats using noninvasive means. Homeopathic, herbal, nutrition-based and Traditional Chinese Medicine modalities are preferred topics of discussion. The Rescue Animal Mp3 Project - Calming shelter animals through music. Barking, meowing, whining, pacing, panting, shaking and hiding… These behaviors are all too common in animal shelters across the country. However, an increasing number of shelters house animals who are calm, restful, content and even purring. What’s the difference? The relaxed animals are part of the Rescue Animal Mp3 Project. "I wanted give you our heartfelt thank you for donating two Rescue Animal MP3 Players to our shelter, the SPCA of Wake County. Since we have put the original MP3 player in, the dogs in the pod where the music is playing have seemed to relax more and seem to be all around more happy. I cannot thank you enough for making it possible for us to provide more music to our pets." American Holistic Veterinary Medical Association is an organization whose purpose is to function as a forum for the exploration of alternative and complementary areas of health care in veterinary medicine. Animal Wellness Magazine is the only magazine produced in North America devoted to natural & holistic health for animals. It features celebrity covers & people who are using their influence to help animals, articles on natural healing and nutrition, advice from leading animal experts & holistic veterinarians, coping with pet loss, alerts to endangered species, a holistic animal store and much, much more. International Association of Animal Massage and Bodywork (IAAMB) is a forum for animal massage and bodywork professionals to network and support each other. 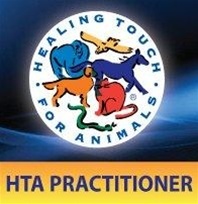 Members share a common goal of advancing the field of animal massage and bodywork by bringing together the various practices such as massage therapists, veterinarians and vet tech’s, animal chiropractors, trainers, handlers, sitters, walkers, groomers, kennel operators, zoo-animal caregivers, and those involved in rehab work. AltVetMed: Alternative and Holistic Veterinary Medicine including acupuncture, chiropractic, herbal medicine, homeopathy, nutritional therapy and other complementary or alternative modalities. The Academy of Veterinary Homeopathy is a non-profit organization founded to train other veterinarians in the practice of homeopathy for animals, providing a link between veterinarians and persons seeking homeopathic treatment for their animal companions. Anna Twinney is an internationally respected Animal Communicator, Equine Specialist, Natural Horsemanship Clinician and Reiki Master. She has been featured on TV, radio, and national and international magazines. Working in the horse’s own language, she travels the world educating people and horses. As the founder of the Reach Out to Horses program, she remains on the cutting-edge of equine training, promoting genuine, gentle communication techniques. Anna can regularly heard on her popular podcast, Reaching Out with Anna Twinney. BotanoLogos is a school for learning about plants of the Southern Appalachian mountains: as foods; as medicines; as keepers of the planet’s healing traditions. The school offers plant walks, day-long workshops, herbal apprenticeships, mountain retreats, lectures, customized presentations, tours to Crete. All programs are taught by Patricia Kyritsi Howell at the school in northern Georgia. Carol Gurney is internationally respected as one of the foremost experts and a pioneer in the world of animal communication. For over 22 years she has traveled the globe teaching people how to connect with our animal companions and the first to offer a fully comprehensive training program in this ever-growing field. The foundation of Carol Gurney’s practice is her HeartTalk Program® which is centered on the basic principle that animals and people can communicate heart-to-heart. Spring Farm Center Alternative Research Education Sanctuary aka Spring Farm CARES, is the world‚Äôs first center for the teaching of interspecies communication. The staff and the 250+ animals who live in the sanctuary are teachers.